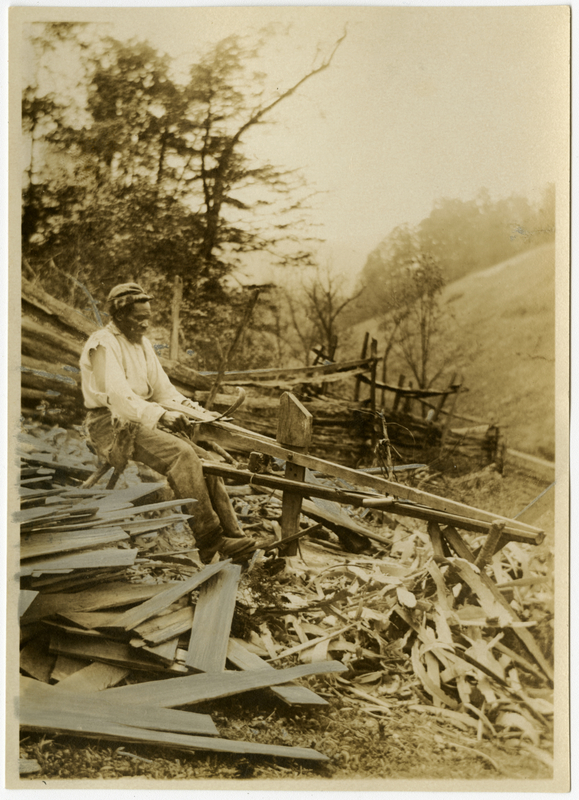 A black man sits on a wooden bench shaving wooden boards into shavings. Numerous shavings are on the right and boards are on the left. A wooden fence is in the middle ground and trees grow in the background on the left. Johnson, Clifton, 1865-1940, “Shaving roof boards,” Digital Amherst, accessed April 21, 2019, http://digitalamherst.org/items/show/5140.